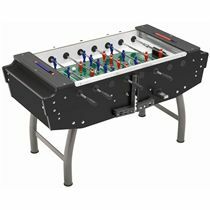 The Garlando G5000 Table Football Table is the most stylish & highest specification table we've seen with full competition specification features, including professional handles, sandblasted glass playing field and leg levellers. Truly great build quality and finish for the discerning player who wants the best of the best. Combining beautiful Italian styling with full competition specification features, including professional handles, sandblasted glass playing field and leg levellers, the G5000 is a must for the true connoisseur. Dimensions of the Garlando G5000 Table Football Table: 150 (L) x 76 (W) x 90-92 (H)cm (Width 110cm with rods extended)Weight: 80kgNOTE: This product will be delivered by using a specialist 2 man carrier service. Typical delivery times are between 7-10 days from time of order. The delivery specialist will contact you directly to arrange a day for delivery. When your goods are delivered it is important that you inspect them before signing for them. If, for any reason, you are unable to check them make sure you sign for them as 'uninspected'. for submitting product information about Garlando G5000 - Table Football Table We aim to answer all questions within 2-3 days. 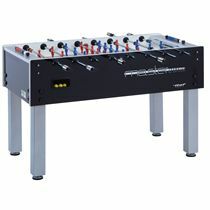 for submitting product information about Garlando G5000 - Table Football Table. We aim to answer all questions within 2-3 days. If you provided your name and email address, we will email you as soon as the answer is published. 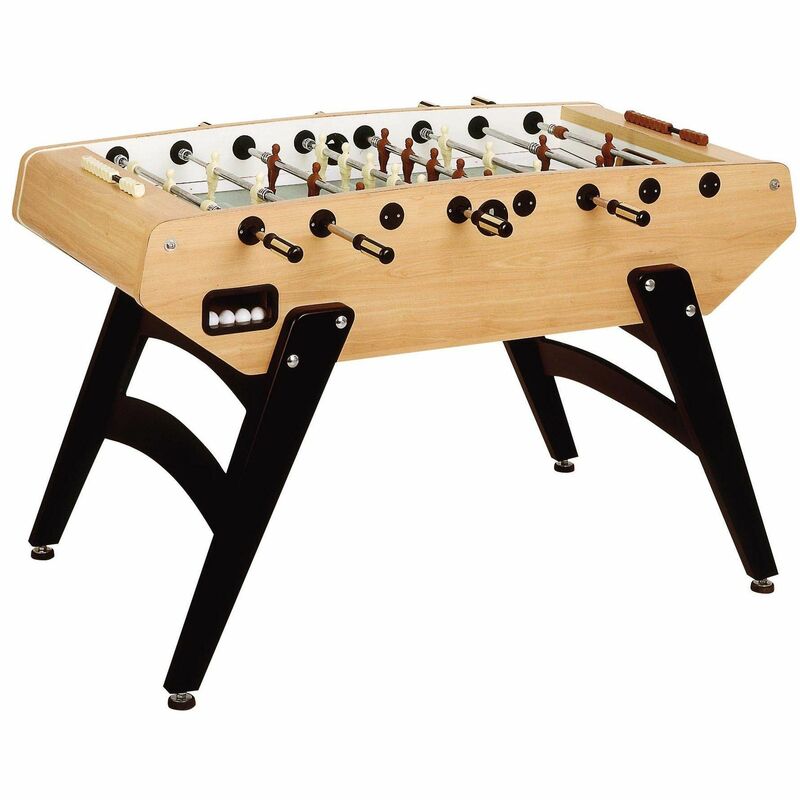 for submitting product review about Garlando G5000 - Table Football Table.